Apart from the fact that young Sachin has already been approached by countless deluded 'MLM' adherents, begging him to save their 'businesses, there is another explanation for his morally, and intellectually, bankrupt commentary. 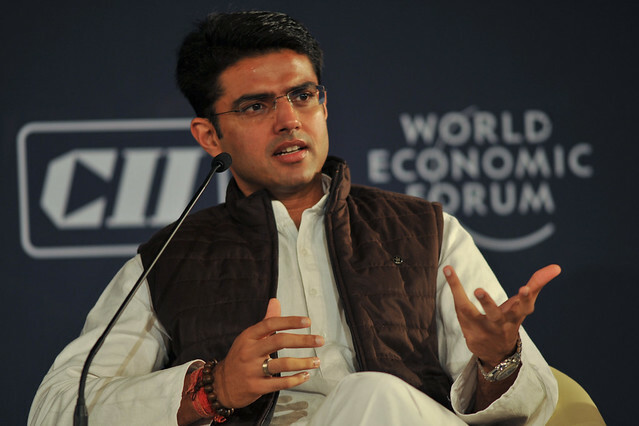 Namely, the billionaire racketeers whom Sachin Pilot now apparently claims he selflessly wants to protect in the wider-economic interests of the people of the Indian republic, have been following the same subversive tactics which have enabled them to dodge criminal prosecution in the USA, and elsewhere, for decades. 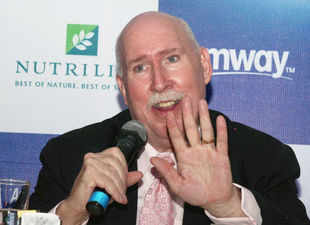 William S. Pinckney, boss of 'Amway India,' arrested for fraud. A local court has granted conditional bail to 'Amway India's' Chairman/Managing Director and CEO William S Pinckney, an American, and two company Directors, a day after they were remanded to 14 days judicial custody . Kalpetta Judicial first Class Magistrate N Ravishankar, who remanded the three to judicial custody on Monday, granted them bail with conditions including that the accused should report to the investigating official as and when directed. Pinckney and Directors Sanjay Malhotra and Anshu Budhraja were arrested by the Wayanad Crime Branch (Economic Offences) wing from Kozhikode May 27th 2013 in connection with three fraud cases registered in Wayanad district. They were charged under the Prize Chits and Money Circulation Schemes (Banning) Act based on complaints filed in 2011. The arrest was based on complaints filed in the Meppady police station by Ashraf and Jaffer from Rippon and Hariharan from Vaduvanchal, Ambalavayal, Wayanad. The complainants accused the company of its failure in ensuring the promised benefits to those who joined the 'network marketing business.' They alleged the company had forced them to buy 'Amway' products for huge sums of money. Last year, the Crime Branch (Economic Offences wing) had conducted searches at 'Amway' offices across the state including Thrissur, Kozhikode and Kannur districts as part of its crackdown on money chain activities. 'Amway' premises in these centres were also closed and goods seized. The latest news from India is that the 'Amway' mob of 3 stooges got bail, but their attorneys were allowed to get away with telling demonstrable lies during the bail-hearing concerning 'Amway's' alleged retail sales in India. Obviously, this was not the trial, therefore, no one could challenge these lies, which have been reported in the press without detailed qualification or heavy irony. In brief, 'Amway's' Indian attorneys steadfastly pretended that all of the millions of rupees of unlawful internal investments (made by 'Amway' adherents in the false expectation of reward): were lawful retail sales (based on only value and demand). However, the economic offences unit of the Kerala police estimate that Amway India' products have been sold to the adherents, on average, at 6-10 times the price of equivalent products in traditional retail outlets (which obviously makes them effectively-impossible to retail to the public). investigation, clearly explained that 'Amway's' scheme appeared to be in breach of criminal legislation banning money circulation schemes, the identifying characteristics of which, are set out in the Act of 1978. I personally cannot see how it will be possible for 'Amway' to escape from these charges unless corrupt forces are at work behind the scenes. Managing Director of 'Amway India Enterprises,' William S. Pinckney and two other senior corporate officers, Sanjay Malhotra and Anshu Budhraja, have been arrested for fraud by the Kerala state Police. Laughably, the officers of both 'Amway India Enterprises' and the so-called 'Indian Direct Selling Association' have admitted that they have been trying to tamper with existing Indian legislation which seeks to prohibit all pyramid schemes, no matter how they are dissimulated. Again, this attempt to subvert the democratic process in India (by the bosses of a US-based organization) in order to continue to commit fraud and to obstruct justice, forms part of an overall pattern of ongoing, major, racketeering activity as defined by the US federal Racketeer Influenced and Corrupt Organizations Act, 1970. 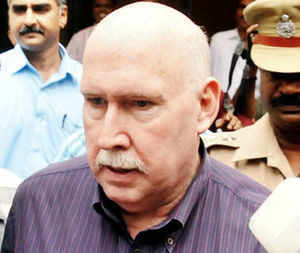 William S. Pinckney, Managing Director 'Amway India Enterprises,' is due to appear in Court in Kerala today! Regular readers of this Blog will be aware that, since the late-1950s, 'Amway' (a corruption of 'American Way' ) has been the reality-inverting corporate front for a self-perpetuating, blame-the-victim, closed-market swindle and related advance fee frauds (a.k.a. 'tool scams'), which have been allowed to escape all rigorous criminal investigation/prosecution in America; thus, enabling a greedy little gang of US-based racketeers to continue to steal billions of dollars from tens of millions of constantly-churning victims around the world. Furthermore, the 'Amway' mob has paved the way for countless copy-cat cults/ major organized crime groups, all of which have run identical blame-the-victim frauds whilst steadfastly pretending to be lawful direct selling companies enabling millions of people to start their own risk-free businesses. Superintendant of Police, P. A. Valsan leaving 'Amway' offices in Kerala. Friday, Nov 9th 2012, teams of police officers, led by L. Surendran and K. Pradeepkumar, serving with the Economic Offences Wing of the Crime Branch, Kozhikode, in the southern Indian State of Kerala, again raided the offices and warehouses of 'Amway India Enterprises' in Kochi, Thrissur, Kozhikode and Kannur, seizing large quantities of effectively-unsaleable 'Amway' wampum. The Kerala police filed a criminal case against the corporate officers of 'Amway India Enterprises'and sealed the company's premises throughout Kerala. 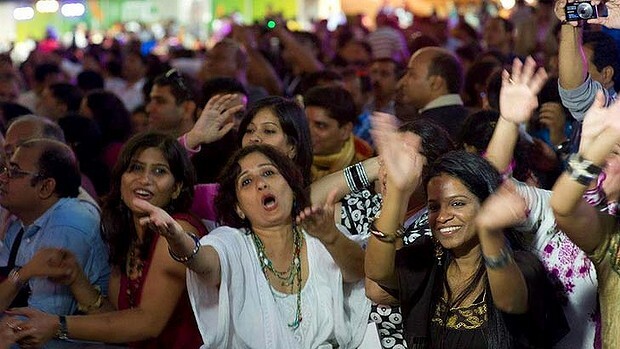 A crowd of 5000 typically-deluded Indian 'Amway' adherents photographed in Australia 2012. Since the instigation of 'Amway India Enterprises,' exactly how many Indian citizens have signed-up with 'Amway,' and exactly how many of these alleged 'Independent Business Owners' have got back more money than they paid in? Exactly what percentage of all the claimed 'multi-billions rupee sales of Amway products in India,' have been authentic profitable retail transactions between 'Amway's' alleged 'Independent Business Owners' and members of the Indian public (based on value and demand)? Does any quantifiable evidence exist which would prove that the so-called 'Amway income opportunity' has had any significant and sustainable revenue other than that deriving from a never-ending chain of losing participants? Area manager for 'Amway' in Kerala, P.M. Rajkumar (aged 29), was arrested in the wake of the raids on the company's offices and warehouses. 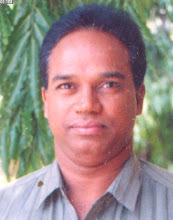 He appeared before Judicial Magistrate, Thamarassery, on Saturday Nov 10th 2012, and was remanded in custody. The investigating team led by P.A. Valsan, Superintendent of Police, Crime Branch (Economic Offences), Kozhikode, has also decided to charge a Delhi-based 'Amway' couple, Sharadul Suresh Shroff and Pallavi Suresh Shroff. Thus, 'Amway's' offices and warehouses were raided by an economic offences branch of the Kerala state police, and the company's activities closed-down in the state of Kerala, Nov 2012. At that time, a criminal inquiry was launched in Kerala into 'Amway,' and warrants issued for the arrest of 'Amway India's' American, Managing Director, William S. Pinckney and other Indian corporate officers, who are based outside of Kerala. 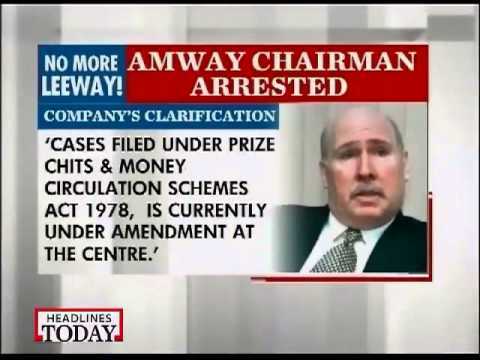 Since that time, 'Amway's' attorneys have been steadfastly pretending that 'Amway's' senior corporate officers are law-abiding businessmen who have been fully-co-operating with the inquiry, whilst petitioning the courts in Kerala to get anticipatory bail for Pinckney, and his associates, to avoid the embarrassment of arrest. However, Pinckney and two other associates, Sanjay Malhotra and Ashnu Budhraja, who were voluntarily attending police questioning in Kerala, May 27th 2013, were suddenly arrested. The regular retailing of goods, and/services, for a profit to the general public (based on value and demand) by the commission agents of commercial companies which procure the products, and/or services. which is so vague that it can be interpreted as a license to sponsor fraudulent schemes (i.e. those without any sales to the general public and, consequently, no significant or sustainable revenue other than that deriving from their own participants). Amazingly, we have seen all this before in India, because several years ago, complaint gathered by Shyam Sundar of 'Corporate Frauds Watch,' led to a police swoop on 'Amway' offices and warehouses, followed by arrests and a criminal investigation into the company's hidden activities in the Indian state of Andhra Pradesh. However, this investigation was immediately opposed by 'Amway's' Indian lawyers who filed malicious writs against the police in the High Court of Andhra Pradesh. Various court judgements in Andhra Pradesh going up to the Supreme Court , then rejected 'Amway's' lies, finding that, despite Indian regulators initially agreeing to 'Amway' coming into India, the company's activities appear to be in direct breach of Indian criminal legislation banning pyramid schemes and, consequently, the police had every right to conduct their inquiries into 'Amway.' However, the criminal investigation in Andhra Pradesh, which was given leave to go ahead by the Courts in that state, then seems to have been suspended (probably, because of high-level political pressure on the officers who launched it). Indeed, each time 'Amway's' hidden activities have been brought before senior judges in India, they have immediately deduced that the company appears to be running an obvious pyramid fraud, but mysteriously, a full criminal investigation has never yet been completed and a full criminal prosecution has never yet been brought. The landmark judgement was given on July 19th 2007 against ‘Amway India Enterprises’ by Chief Justice G.S. Singhvi, and Justice C.V. Nagarjuna Reddy, of the High Court of Judicature, Andhra Pradesh, Hyderabad. In 2006, the Criminal Investigations Dept. of the Hyderabad police raided, and sealed, the local offices of ‘Amway India Enterprises’ arresting various employees, following a particularly detailed complaint filed by A.V.S. Satyanarayana under the ‘Prize Chits and Money Circulation (banning) Act, 1978.’ This courageous individual confessed that he had been deceived into wasting a significant amount of time and money after having being subjected to overwhelming psychological pressure to join ‘Amway’ by two dominant men in his own social circle. Within three days of the registration of this complaint, aggressive lawyers acting for ‘Amway India Enterprises’ issued two malicious writs against the Hyderabad CID. Simply by applying common sense, Chief Justice Singhvi and Justice Reddy were immediately able to see that the ‘Amway’ fairy story of ''total financial freedom,' is far too good to be true. Then, by ignoring the scripted-lies of ‘Amway’s’ attorneys, and by concentrating on the compelling testimony of the victim (backed up by documentary evidence), they deduced that the so-called ‘MLM Income Opportunity’ is clearly in breach of Indian legislation. Despite the mystifying, linguistic and mathematical complexity of ‘Amway’s’ corporate camouflage, de facto agents of the company actually propagate the self-gratifying delusion that limitless prosperity can eventually be obtained without any further effort simply by regularly purchasing products and recruiting others to do the same, etc., ad infinitum. As a consequence, the two malicious writs were dismissed, and the High Court of Andhra Pradesh ordered that the Hyderabad Criminal Investigation Dept. should be allowed to continue to follow whatever procedures are permitted by law to hold the corporate officers of ‘AmwayIndia Enterprises’ to account. Furthermore, the judges in Andhra Pradesh had also begun to discover that, as part of a pattern of ongoing, major racketeering activity (that now stretches back at least 50 years), in June 1994, representatives of the ‘Amway’ organization approached the Indian Ministry of Industry (Dept. of Industrial Development) bearing gifts. By steadfastly pretending affinity with officials (who, naturally, wanted to believe that all external investment creates employment), the ‘Amway’ crime families initially sought an agreement (renewable biannually) which simply paved the way for the creation a privately-controlled, unlimited-liability, commercial company, ‘Amway India Enterprises.’ As a subsidiary (entirely owned by its American parent company), the representatives of the big ‘Amway’ lie meekly accepted that ‘Amway India Enterprises’ would be forbidden to manufacture or import. The proposed company would be permitted only to use its ‘Multilevel Marketing Business Model’ to sell products via networks of commission agents, and sourced from local, independent, Indian manufacturers. Consequently, without any informed scrutiny, officials at the Indian Ministry of Industry, Secretariat for Industrial Approval (Foreign Collaborations II Section) rubber-stamped the application for the proposed company (within less than two months) on August 26th 1994. Twelve months later, August 1995, 'Amway India Enterprises' was registered after final approval by the Indian Foreign Investment Promotion Board. 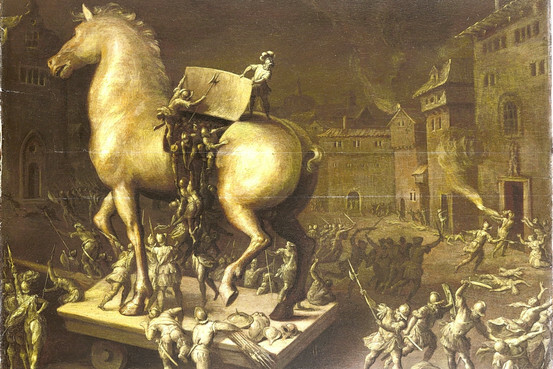 In this way, America's contemporary version of the Trojan Horse was dragged unoticed into India with the assistance of the republic's own naïve, and/or corrupt, regulators. However, it lay dormant until May 5th 1998 when a network of regional offices began to be established. 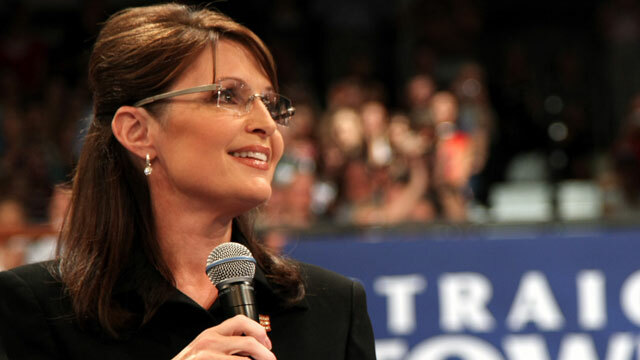 Six years later, the destructive contents finally began to spill out. On August 8th 2004, the (apparently safe) original (biannual) agreement was mysteriously altered (at the request of the corporate officers of ‘Amway India Enterprises’) allowing the unregulated manufacture, and/or importation, of ‘Amway’s’ own range of effectively-unsaleable household, beauty and health products. However, at no stage did Indian officials apply common-sense and bother to ask how the so-called ‘MLM Income Opportunity’ could possibly be economically-viable and, therefore, lawful, when ‘Amway’ products were now, self-evidently, several times the price of equivalent (and often superior) merchandise widely-available in traditional Indian retail outlets. Yet, implicit to the modified agreement was the understanding that ‘Amway India Enterprises’ would respect Indian law and recruit non-salaried agents who could earn commission payments from regularly retailing products for a profit to the general public. In plain language, Indian officials were deceived by the de facto agents of US-based 'MLM income opportunity' racketeers. That said, it is not known what other inducements (if any) these conveniently-blind civil servants received.